Often times these questions are asked — Why should I use PC Matic? What makes your solution any different than other programs available? Do you really detect everything like your commercial says? Fortunately, all prospective and current PC Matic users have the opportunity to join a webinar with three of PC Matic’s top executives to get that answer. The webinar will include: CEO, Rob Cheng, Vice President of Malware Research and Development, Rob Woodworth, and Vice President of Cyber Security, Dodi Glenn. The purpose of the webinar is to provide insight into PC Matic’s 3.0 engine and explain the level of superior protection from today’s cyber threat landscape. The webinar will be an open forum, which will allow all participants to ask any questions they have regarding PC Matic. The webinar is specifically designed for home users. 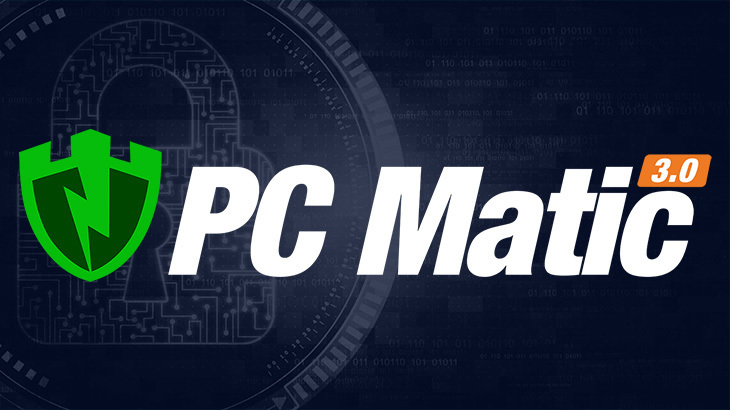 PC Matic is consistently receiving questions on Facebook, Twitter, and our support and forums pages — just to name a few. Now is your chance to talk directly to PC Matic’s top executives to get all of your questions answered. The webinar is slated for one hour, and will take place on May 23, 2017 at 11:00 a.m. EST. To access the webinar, live, you can click here. Please note, the webinar will be done via Go To Meeting. If you have downloaded their program, it is advised to doing so prior to the webinar. 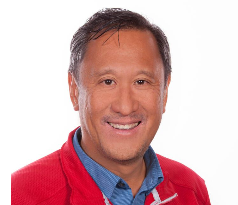 Rob Cheng, CEO and founder, has over 30 years of experience in the sales, marketing and support of computer hardware and software. Prior to founding PC Pitstop in 1999, Rob was the SVP of Gateway Consumer driving sales, marketing, and support worldwide. 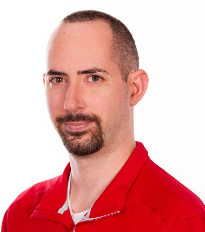 Rob began his career at Texas Instruments responsible for sales, marketing and support in Latin America. Rob holds a B.S. in Engineering from Cornell University and an MBA in Finance from the University of Texas. Rob Woodworth has over 10 years of experience writing computer software. 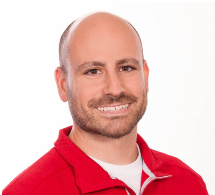 Rob joined PC Pitstop in 2008 and is responsible for many of our technical breakthroughs including the whitelist underlying PC Matic’s real time protection. Rob began his career writing code at Allscripts Healthcare Solutions. Rob holds a B.S. in Computer Science from the University of Arizona. Dodi Glenn has over 13 years of experience working in the cyber security industry. Dodi joined PC Pitstop in 2015. As an executive for PC Pitstop and a Board Member for the Anti-Malware Testing Standard Organization (AMTSO), Dodi is well armed in assessing security risk from malware, managing targeted attacks, and creating defenses for virus and ransomware intrusions. Dodi’s prior career was at ThreatTrack Security where he was responsible for security risk assessment, firewall execution, malware & targeted attacks assessment, ransomware management, antivirus implementation and software development. Dodi is a Certified Scrum Product Owner and Scrum Master (CSPO & CSM) and is Pragmatic Marketing Certified. PC Matic Blog pc matic, PC Matic 3.0. permalink. Please reach out to our support team at http://www.pcmatic.com/help for further assistance. Our technicians are available 7 days a week. Thank you! I’ve been thinking about buying PC Matic 3 for sometime, but I only have an IPAD and a Vaio laptop. I was wondering if I could included my son’s laptop. We live in two different states. You could. However, PC Matic is not compatible with iOS — so you’re iPad would not be covered. PC Matic is only compatible with Windows XP, Vista, 7, 8, 10 and Android devices. PC Matic is compatible with Android devices and Windows operating systems. OK Tell me how it works. I buy it today, THEN WHAT. You buy it today, download it on up to five PCs. You will run your initial scan, and upon completion you will click “Next”, during which it will make all updates and enhancements suggested. From our dashboard you can schedule scans for how ever often you’d like, depending on your PC use. For example, I am on my PC all day, so I schedule daily scans. As far as the protection mechanism, PC Matic identifies malware from a whitelist methodology. This means, only trusted programs are able to execute. This is exactly how we prevent malware infections, because no matter what — malware will never be a known safe program. Also within our program are the following features: patch management to keep top software programs updated to prevent security gaps, free cyber security training, PC optimization tools to keep your computer running fast and avoid freeze ups, and adblocking technology. If you have more questions or would like further clarification, feel free to reach out. Thanks! Paul I’m sorry that you had trouble installing our software. Were you able to reach out to our support team for assistance? They are available 7 days a week at pcmatic.com/help and can help you get up and running smoothly! I attempted to install PC Matic earlier and had to remove it. I think that this was because of installing over Avast Free, You quickly refunded that purchase when I advised of my problem. Later you offered a 50% discount for me to try it again. I have just gone through two days of recovery attention by my remote repair service and have the idea that the use of PC Matic might have helped avoid this. If you will confirm my concern of the competition with Avast and suggest proper steps to download PC Matic, I will try it again. @Mervyn E Cloe,: Mervyn, Installing two real-time protection products at the same time can cause issues. Often times the two programs will interfere with one another and may not function or protect properly. We would recommend that you uninstall the antivirus software you were using perviously before installing PC Matic. If you need any assistance with this process our support team will be happy to help! They can be found 7 days a week at http://www.pcmatic.com/help. Have a great weekend! @Inez overbeck: Hello Inez, you can get protection on a Samsung Tablet! Just visit the Google Play store and search for PC Matic for Android. After downloading it log into the app with your PC Matic account information and you’ll be up and running! Have a great weekend!